- Special brunch menu starting at 12PM. Reservations encouraged. - $5 Drinks (All drinks, excluding top-shelf) from 12pm-3pm! 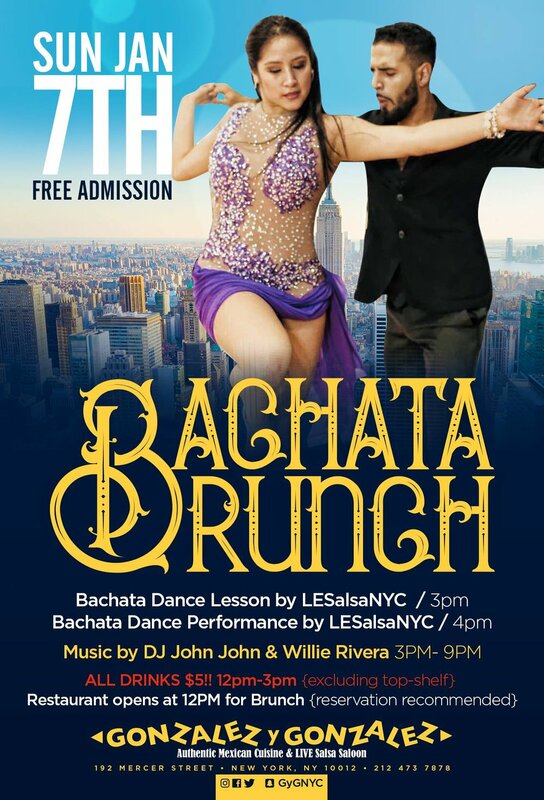 - Bachata dance performance and FREE Bachata dance lessons courtesy of “LESalsaNYC” starting at 3pm. Everyone is welcome to dance, but reservations for brunch are encouraged, and big groups please book tables in advance! For reservations, visit http://gygnyc.com/ or call (212) 473-7878. Copyright © 2017 Ximena Salgado.